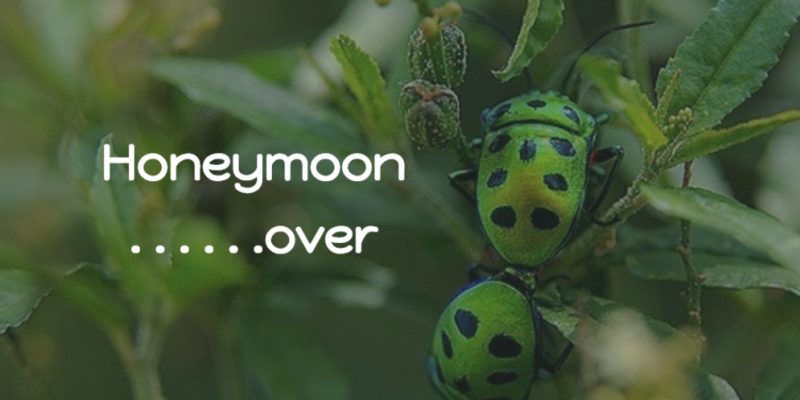 Political leaders are often said to have a honeymoon period at the very beginning of their new post. At a time where their political capital as at its highest, there tends to be a degree of ‘benefit of the doubt’ given and political opponents treat them well. I get the impression that due to the lack of political opponents to currently wrestle with means that Theresa May has had less of a honeymoon, and more like a ‘swift registry office wedding and straight back to work on Monday’ type of period. There has been no particular need to allow her into the post gently, and indeed she hit the ground running it appears. It wasn’t quite the same with the new Chief Dental Officer. An initial period of cautious approval and hope that the new incumbent might be a less dogmatic and more approachable one than previously was supported initially by in increase in visibility, and the right kinds of sound bites the made many think this could be someone who is more in tune with dentists than was previously the case. Well, it certainly looks like the honeymoon is over for our new Chief Dental Officer after the comments this week about routine examinations is anything to go by. Once again it appears the CDO has trotted out the underlying political message desired by the paymasters at DoH. What appeared to start out as a marriage that could work with the profession now appears to be heading for a divorce already. The comments that were published in the Telegraph and the Daily Mail appear to rehash of those made in 2004 by Raman Bedi, and again in 2011 by Barry Cockcroft, both gleefully published by the Daily Mail, and no doubt trying to reinforce the opinion that the majority of the profession are money grabbing charlatans. 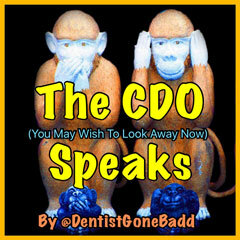 The same old mantra is being rolled out by yet another incumbent of the CDO post, which despite its downgrade by government now to a junior supporting role, is nonetheless listened to by the press and therefore the public in order to give more ammunition to the incessant deprofessionalisation of dentistry as a whole. (Or so it seems to me). In addition, the comments by former NHS Trust Chairman Roy Lilley in the same article that dentistry has become ‘a rich mans hobby’ provided in ‘lavish environments’ would be quite frankly laughable if it weren’t for the fact that they are so offensive. I’m sure he didn’t sit in an office furnished from a secondhand furniture store in a cold draughty office block, so why the hell should we? I could wax lyrical for a long time about my opinions of such people in NHS high office, but I’m sure much of it would give the legal profession many hours of extra work. Suffice to say the ignorance of comments such as this are what I would expect from a member of the ‘profession’ that continually commissioned excessive amounts of UDA’s year on year from D’Mello, and oversaw the disasters at Stafford amongst other things. Perhaps Mr. Lilley would be happier receiving his routine dentistry in the kind of environment that charities such as Bridge2Aid find they have to work in? Perhaps then he might be grateful for the small luxuries his salary allows him to experience. I would suggest he puts some of his money where his mouth is and donates to such deserving causes so they could ever hope to achieve a level of care that even the worse off in our society take for granted. But I am more concerned the comments made by Col. Hurley seem to go deeper and are potentially more damaging to the profession than any crass comments made by an NHS apparatchik. Comparing the profession to garage mechanics is crude and whilst part of me can always find parallels with any other industry, it is highly disingenuous to make that comparison without thinking more closely. The analogy can be torn apart so easily on many levels. With the GDC and CQC breathing down the necks of professionals all the time, I’m sure many of them would wish to have a working environment more akin to the relaxed nature (comparatively) of working in a garage. I can’t quite remember the last time the General Garage Council struck a mechanic off for using the wrong oil, or not explaining the different kinds of windscreen washer fluid before servicing a car. In addition, Col Hurley seems to forget that likening the situation to an MOT is also a bit silly, since it is a legal requirement that you have to submit your car for that test every year. Her comparison fails hugely at this point. Perhaps the situation with dental problems (especially that of the huge number of children admitted for GA’s) wouldn’t be as bad if people were compelled by legislation to see a dentist yearly as part of their responsibility to the others contributing to the cost of state run care? But then of course the state wouldn’t be able to afford it and would have to admit as such. On the other hand, whilst continuing the garage comparison, preventative maintenance is the responsibility of the driver, and there is indeed a whole host of legislation in place to ensure this happens. So if my garage (ethical and professionally run) recommend I get something rechecked in a period because the vehicle might be dangerous, then I would be foolish to ignore that advice both from a safety and legal point of view. I’m also not likely to blame the mechanic if my car breaks down because I haven’t looked after it. That there are dodgy garages will be no surprise, but then we all know there are dodgy dental practitioners who, amongst other things, blatantly game the system because the lack of clarity in the current contract makes it possible for them to do so. I suggest however that there are a higher proportion of mechanics that are not ethically guided than dentists due to their lack of professional regulation, and to make an analogy between them therefore is somewhat clumsy and misguided. The open letter to the profession published in January in Dentistry from Col. Hurley suggested that budgeting the NHS funds appropriately was at the forefront of all the planned changes that she would suggest. No one would argue that this is appropriate and should be the way forward. In an era of austerity we have to look at how the finite funding is spent, and I personally agree that much of the NHS budget could be better spent than recycling the same healthy patients. However, these are often those patients who take an interest in their dental care. When we have 50% of the population not attending a dentist at all, then the budget is going to be spent on those that do. Couple this to the failed UDA system that makes it a financial risk to take on too many high needs patients (who are often those who don’t value the service and miss appointments), then is it any wonder that the small businesses of dental practices need the repeat business of regulars to survive? The screaming lack of clarity that is present in the current contract, and in my opinion will remain in any new contract (purely because of the benefit to the Government and no-one else) is not likely to be addressed anytime soon. There is no appetite for the Government to officially admit dentistry is rationed, yet we all know it is, and instead a press release such as this could have helped both the patients and the profession by being honest about the amount of money the NHS has to spend on routine examinations. For the first time, it appears an NHS manager (Chris Hopson writing in the Observer) has this weekend finally admitted that that aspirational wishes of the NHS are not met by the funding needed to provide them and rationing is likely in the future. Perhaps the ‘worried well’ that Col. Hurley is referring to as being seen so regularly should actually make way for those who cannot access treatment. Perhaps by publically endorsing a core service that is equitable for all would go a long way to meeting her desire to target the resources of the NHS more appropriately rather than once again making it the dentists fault as usual for the perpetual lack of funding to provide ‘world class’ healthcare for everyone. So, instead of therefore criticising the dentists for seeing patients more often ‘than needed’, why didn’t she take the opportunity to actually say that the NHS can’t actually afford to fund this type of regular recall, and that it only has the funds to see patients once every two years? A comment such as this is more likely to get the support of the profession since we all know how poorly funded the system is, and yet it doesn’t alienate the profession so much. Suggesting then that the patients are still free to see their dentist 6 monthly, but under a private arrangement, would both inform the public of the truth about the parlous state of NHS funding, and gain the support from the vast majority of dental professionals by talking it out of their hands. Instead of encouraging the patients to question the integrity of the professional caring for them this would be more appropriate surely? It is a chance for her to stand together with the profession she is part of whilst still fulfilling the government need to obtain value for money with its funding. What is amusing is the same papers ran a story only the week before stating that soldiers face a week in jail for missing dental appointments in a bid to reduce the amount of personnel unavailable for military deployment due to dental disease. Is this a not double standard? Coming from the military back ground she does, I’m sure Col. Hurley was aware of this issue before she became CDO. So when the public read these conflicting stories, how are they to make a decision? Is it that dental problems can be so bad that the army punishes offenders who don’t take responsibility for their dental care with jail; or that you don’t actually need to go to the dentist for 2 years? Which is the message about dental health that is correct? We all have cases to robustly shoot down the 2-year interval theory. For instance, I have a low risk patient who I have been seeing for many years now. Probably one restoration every 6 or 7 years, good oral hygiene etc., and is in the early 40’s. At a routine 6 monthly I spotted a lesion under the tongue. This turned out to be a squamous cell carcinoma. It wasn’t there 6 months previously. They would be one of the patients that fit in the criteria of a biennial examination. I’m sure that would be of great help to a spouse and children if the patient had listened to the advice. Fortunately for the patient we expedited the referral appropriately. However, at the next 6 monthly, there was still some nodal involvement that we picked up. This fell between the review appointments at oncology, was pointed out to them, and now a neck dissection has been performed. Once again, the DENTAL problems were minimal. What about the increase in the HPV+ types of Oral Cancer that are now being seen in younger lower (traditional) risk patients? Or subtle diet changes that misguided approaches to a healthier lifestyle involve that create more dental problems and more long term cost to the state? I can go on, and I’m sure there are many other examples that people can give. I can think of NONE of my patients that I would be confident leaving for 2 years without some form of assessment. When you ‘get out of the mouth’ and look at patients as a whole it is astounding how many things can impact their oral health in so many ways, and 24 months is a long time indeed…Whilst I admit there are those patients who never seen to need anything doing, how do we know they won’t suddenly suffer a need for medication or have health issues that change their dental risk? Since the Government seem to fail to take responsibility for educating the population about the risks of the links between health and dental issues then many patients will not automatically seek our advice. When they then return with a mouthful of problems because of some misguided attempt to save the state money because we’ve had to accept the demand for a longer interval between assessments, then I know that we are going to get the blame, and the GDC and ambulance chasers are going to be rubbing their hands together in glee, whilst the DoH wash their hands of the responsibility. I unfortunately have to keep hammering out to many of my local GMP colleagues that we are not blacksmiths any more, but highly trained medical and surgical colleagues who take a full view of the patient in a holistic manner, but concentrating on the head and neck. It would appear that solely concentrating on just the teeth and gums is what even our CDO feels we are doing given the tone of the comments in the press. I wonder when the last time she actually fully assessed and treated a patient from start to finish, and whether of not the pressure of a real (and not with an institutionalized cohort of patients) dental practice has been experienced. The BDA press release the same day was suitably pithy; but in reality the message wont be important to the public given they usually jump on any chance to further hate our profession. But if the headlines actually said something like ‘Dental Trade Union refuse to negotiate with Government’s ‘Top’ Dentist’ then this might allow us to start to get our message across. The DoH is perfectly happy to sensationalise headlines to further their own ends, so it’s about time we did. I wrote a piece for Dentistry magazine earlier this year about the new Chief Dental Officer who at the time was busy on a “fact-finding” tour of her new territory. Sara Hurley’s tour was without doubt planned as a charm offensive, featuring smiling photographs with some of the movers and shakers of British dentistry. When she made an appearance at the BDA conference in Manchester her ad-lib question and answer session on the BDA stand was very successful and she came across as personable, reasonable and eloquent. “Good”, I thought, “here’s someone who wants to make friends”. After more than a decade of her successor, Barry Cockcroft, who could not be described as any one of personable, reasonable or eloquent she seemed a breath of fresh air. But, let’s face it, the bar wasn’t set very high. In my article I reminisced about CDOs I had encountered, I would not claim to have known any of them. I encountered Brian Mouatt when I was doing the MGDS pre-exam course just after the Conservative government announced a new dental contract, which was intended to “sort out NHS dentistry for good”. He gave a talk on the new contract and promised that he would answer our concerns when he had finished. However having completed his prepared address he muttered something about having a previous engagement and headed for the door, our angry comments and questions ringing in his ear. I only knew Margaret Seward because she was married to my first boss, Professor Gordon Seward, she was in post for two years and presumably wasn’t able to leave much of a mark on things, people I have met who worked with her spoke highly of her. The other CDO I met was of course the previously mentioned Dr Cockcroft who was the highly visible mouthpiece for the iniquitous UDA system and became the exception after a line of low profile CDOs. In view of Dr Hurley’s ease with people and obviously understanding the need for good PR I was surprised to hear that the new CDO had been far too busy to answer questions on Channel 4 in the wake of their damning reports on UK dentistry. If an NHS dentist was similarly booked solid for 6 months it would be mismanagement. There was something that kept nagging at me and that was the somewhat cynical conclusion we reached after Brian Mouatt’s sudden departure. The CDO is a civil servant and is there to do the government’s bidding. The current incumbent has spent her professional life in the services reaching a high rank, she knows all about chain of command and is used to taking orders. Her announcement this week at an NHS Expo (whatever that may be) that, “Going to the dentist every six months is unnecessary,” as the Daily Telegraph reported it, only undermines the position of Dentistry. The other statements attributed to her are more “austerity” fuelled DoH propaganda. "You don&apos;t see your GP every six months so why would you see your dentist?” Dr Hurley said. Well, Sara that is because NHS medicine is an illness driven system that is reactive and gives only lip service to prevention. “If you go to have your car MOT, and he says, come back in six months, do you blindly adhere to that advice?” Actually Sarah if I’m driving one and a half tons of complicated machinery that I want to be safe yes I do. What does the army do about recalling tanks for servicing at the correct intervals? I would suggest that if you do them “blindly” someone could find themselves being disciplined. She was joined on the platform by Roy Lilley who described dentistry as “a rich man’s hobby” as a regular reader of Mr Lilley I know him to be anti-medic, and by extension dentist, who thinks that every ill in medicine can be cured with a “cuppa builder’s and a hobnob”. He criticised improved surroundings for dentistry, perhaps a return to upright chairs, woodchip wallpaper and lino; with queues on the stairs for gas sessions - would this suit him? It has taken dentistry half a century to get the message across that regular attenders have fewer problems, stay healthier and actually prefer the reassurance. The good practices already tailor their recalls to suit patients and have been doing it for decades. Your statement is irresponsible and only fuels any criticism and scepticism of dentistry. You knew that your words would make headlines and that you were undermining the hard won confidence that most general practitioners face. However as you have never been a GDP how can you possibly understand what that really means? It would appear that after a year in post gaining the fragile confidence of dentists, the directive has come down to the CDO, “get rid of your camouflage tunic, put on your hard hat and Kevlar, come out into the open and start gunning down your colleagues. That’s what we pay you for, not popularity - oh and Sara don’t forget there may well be a gong in it for you”. Just recently things have been relatively quiet in the area that I usually write about. The GDC seems to have realized the mistakes of the past, and the new executive appears to be making overtures about re-engaging with the profession. Slowly but surely many think there might be a break in the thunderclouds and a glint of sunlight over the profession where our continued regulation is concerned. One would like to think that there are significant inroads being made by the BDA on our behalf as a result of the regime change at Wimpole Street. However, I think many will doubt this, especially when the GDC themselves have actually questioned who leads our profession. Surely this is an indictment of the profile of our Trade Union and representative body if those at the regulator have to question whom is actually in charge of dentists? It isn’t the Chief Dental Officer, who is more of an advisor to Government than a figure the profession can rally round. Its definitely not the Head of the GDC. There are many ‘celebrity’ figures in Uk dentistry who give themselves the title of ‘KOL’ (key opinion leaders) but again they are really not the leaders of our profession, often just opinionated souls who have some form of medium through which to express their thoughts (and pictures of their cars!). It’s certainly not organisations like Dental Fusion (or should that be Dental Futile?) and other professional organisations who have very limited memberships. It really is quite obvious then that it should be the BDA. Whilst there are some strong figures within the organisation, and the work that is done by the employees is excellent, it still seems to suffer from an apparent inertia and lack of awareness as to what it could actually achieve. Whilst it no doubt provides some excellent member services, (such as employment and general advice and the library) it seems to frequently live up to the expectation of the profession as a body that drives really changes. Take for instance the removal of registrant addresses from the GDC website. I’m pretty sure this has been on the ‘Work in Progress’ list at the BDA for some time. Yet it takes one petition by an individual and the GDC not only look at it, but actually manage somehow to change the entrenched view of Chairman Moyes himself. Now the BDA can say that they have done lots behind the scene, but there’s no use doing this and seemingly not achieving anything, especially if it has been going on for years. To then jump on the bandwagon and claim that the issue being raised by the GDC earlier this year was solely as a result of the BDA exerting pressure (when I happen to know that people at the GDC acknowledge the pressure came from the petition) is a little bit naughty. The BDA is also the only dental body invited to the table with the DoH when negotiating a new contract. To give an analogy from mother nature; This is a little bit like a seal sitting down with a Great White shark and agreeing on the least painful way of being eaten alive. Evolution has taught many creatures to not get involved too closely with the apex predators, yet the BDA continues its same path in the forlorn hope that one day the shark might have indigestion and the seals won’t get eaten. It will always argue that it is there because of those of its members who haven’t any option other than to be seals and swim in the same sea as the shark. Evolution by supporting other options for these practices has always seemed to be low down on the agenda. Shouldn’t leaders of the seals be telling its members to try to keep away from sharks? Won’t the sharks have to evolve themselves or eventually starve to death? Another example is the pressure that the BDA should still be putting on the CQC. The CQC has not been the subject of my blog at all in the past, and given the fact that I have been a huge critic of them has surprised even me that they haven’t suffered from my ire yet. Since the appointment of John Milne as their National Advisor there has been a distinct increase in the quality of the inspections generally. There has also been the publication of the ‘Mythbuster’ series of articles on the CQC Website . However, it is apparent that even these can suffer from misinformation. In particular the one regarding radiation protection is riddled with errors that make the further entrenching of incorrect information more likely to be referred to as absolutes when they are not. The fact that these errors might then be referred to by the GDC as the CQC is seen as an authority when charges are brought against a practitioner mean that there can be potential for miscarriages of natural justice. Whilst there is no intention to mislead, when there is an incorrect interpretation of the legislation, rules, regulations etc. by such as the CQC (who we can argue should be an authority themselves anyhow and shouldn’t make errors like this at all) then the BDA should be swift to bring these errors to the attention of the CQC and more importantly the profession in general. This shouldn’t be in a ‘behind the scenes’ manner, but much more publically. We would then know what they are doing. This is not to embarrass the CQC in any way, but merely to demonstrate the obvious authority the BDA should be seen to have, and command the appropriate respect. Once again these errors were brought to the CQCs attention by an individual. There is a quite frankly ridiculous amount of legislation that governs the practice of dentistry these days, so much so that it is virtually impossible for individuals to keep on top of all the different aspects of compliance. It is vital therefore that whoever leads our profession has an organizational structure that should know all the things governing and legislating dentistry so intimately that at the first sign of a new urban myth appearing somewhere (and they should be aware of where all these myths originate – looking on GDPUK r Facebook is usually a good place to start) there should be a very public and robust re-affirmation of the real legislative and regulatory situation, and with absolute authority and clarity such that the myth is immediately disproved. I’m sure we can already hear the cries from the BDA that they already work in this way at the moment for their members, and this is true to a degree, but this is usually in a completely reactive and individual manner, and you usually have to actively seek out this information yourselves. Given the sheer volume of stuff that is out there to comply with it is very simple to get caught up in some of the less controversial urban myths such that they become the new fact, and thus perpetuated more. So you actually have to know something is wrong before you question it, otherwise you will automatically accept it is true and thus it becomes the ‘done thing’ as everyone ends up believing the myth. Just like the obligation to record batch numbers of LA in the notes is a myth. What about jumping on the incorrect use of standards by Expert Witnesses when these are used in GDC hearings and further entrenched by the rulings? Why hasn’t the BDA produced a definitive standards document regarding an acceptable (not minimum or aspirational) standard that items like a simple dental examination should include, and be recorded in the notes? After all, there is enough expertise within the BDA that a consensus document could be produced simply enough. If it has (and I may have missed it admittedly), why aren’t the Expert Witnesses then referring to a document like this as authority? Why haven’t the Indemnifiers mentioned the existence of a document like this in the defence of colleagues? (and why haven’t the indemnifiers produced one either, perhaps by working with the BDA on it?). Why haven’t the BDA come down like a ton of bricks very vocally on those LAT’s that transgress or selectively (incorrectly) interpret the regulations? If they have, why haven’t they shamed them so publically so that other LAT’s know they are a force to be reckoned with and won’t try it on with other practitioners? Finally, what about the headlines in The Times this weekend about (surprise surprise) dentists ripping off the public? There doesn’t seem to have been any attempt by the journalists to even contact the BDA for a comment. Surely one of the first organisations to be approached for comment on a story like this would be the association that is supposed to lead dentists. Or is it that even the press think that a comment from the BDA would be about as strong as a wet tissue? At such a time there should be an automatic and robust defense of the professionals, whilst simultaneously showing the failure of the SYSTEM that they work within, and laying the blame squarely at the door of the DoH and Government. The BDA really should sometimes show its teeth much more readily (no pun intended). But the only time they have done anything approaching this was the Judicial Review into the ARF in 2014. Even then there didn’t seem to be an ability to press home the victory and hitting the GDC whilst they were still reeling. Rather it seemed to all be ‘behind the scenes’ as usual and waiting for the Health Select Committee to grill Gilvarry and Moyes. Where was the tactical approach of ‘putting the boot’ in when it was most needed? I will admit that political activism often needs to be done behind closed doors, but we need to know that when this is what we are told is happening, something IS actually being done, rather than just being talked about. The reputation of the BDA is such that many feel it never seems to be achieving anything, and therefore people think that it never does. There are so many issues in dentistry that appear at any time, and the BDA suffers from having to be everything to everyone. But surely there is a common theme amongst all in dentistry that our professional association should be there to lead the way vocally and proactively. Instead it often appears to be more a reactionary organisation with the attitude of ‘mother knows best’. Well I’m sorry, but given the achievements that individuals have made recently in engaging more successfully than the BDA have, would lead me to suggest far from ‘mother knowing best’, mother is now someone who needs to realize they might actually be past it and new ideas and a new approach are needed. 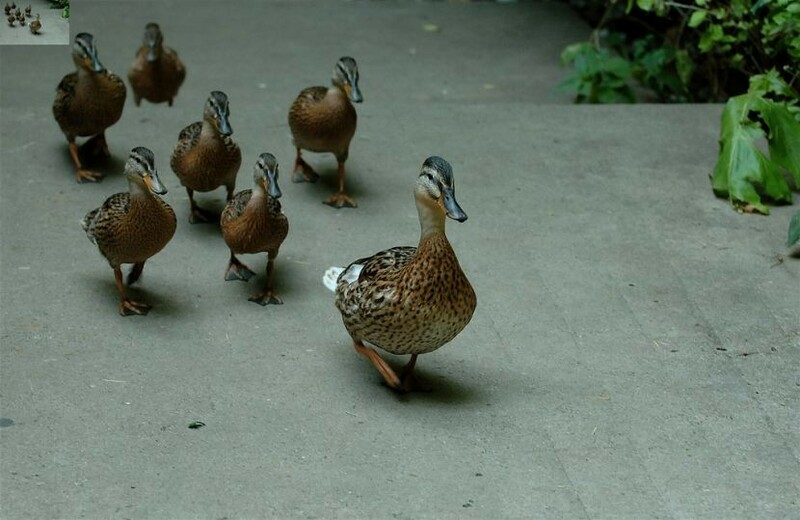 There are a few vocal people in the BDA, but there are also others who seem to be anonymous and conspicuous by their seeming lack of inspirational leadership. Leadership means setting a visible and vocal example that others can then assist them in taking things forward and more importantly want to take forwards despite the obstacles in the way. It’s certainly not getting behind other people’s crusades and then saying look at what we did to get this done. 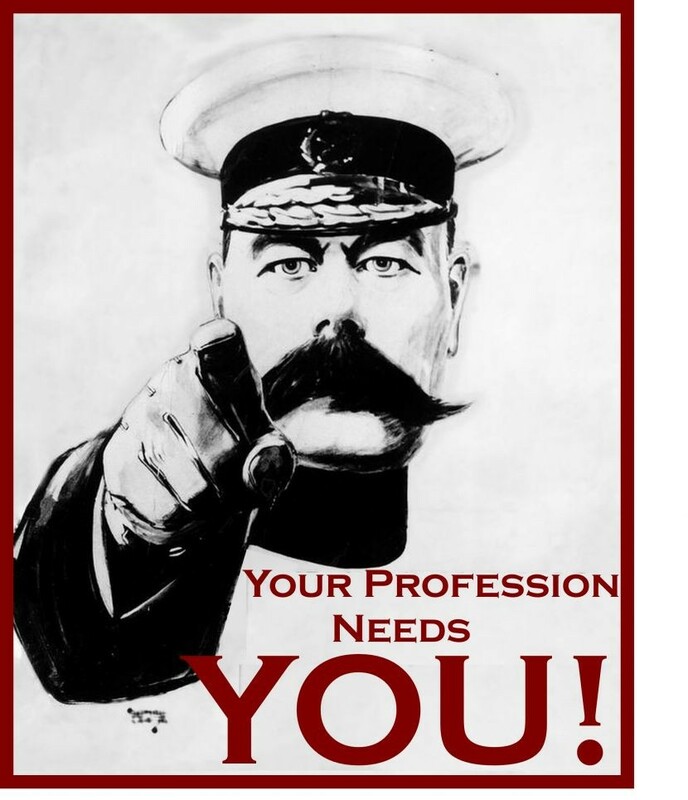 I know of a good many people within dentistry, many of them household names (and for all the right reasons) who are disillusioned that there is no flag we can rally round as a profession; so much so that groups of like minded individuals are now beginning to draw together in order to do what the BDA should be out there doing. Which is to Lead the profession. At the same time, there has to be an acknowledgement of the postion that dentistry is in within the bigger sphere of healthcare. We will never have the public support that the doctors can call on, and we only have to look at the way the Government have played hard-ball with them over the recent contract ‘negotiations’. Lets face reality here. We will not get any concessions, there will be no more money and the conditions will not improve. We have to accept this and move on. The definition of stupid is often said to be doing the same thing over and over again and expecting different results. I think we can quite easily argue the BDA continue to do the same thing over and over again…..
No doubt many of the BDA hierarchy will be offended at this piece; but quite frankly they perhaps need to be. I’m sure there will be suggestions that I should put my money where my mouth is and stand for the PEC. Perhaps they are right. 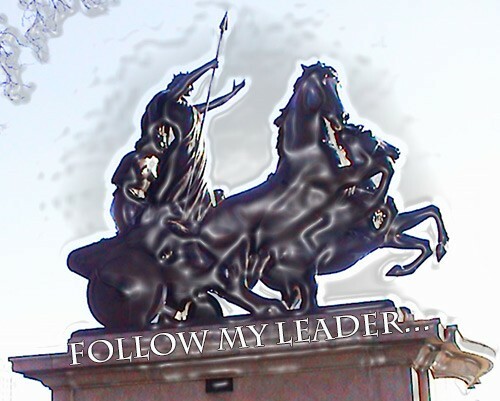 But since I don’t have all the answers I shouldn’t put myself forward as a leader of the profession. But even if I did, the problem with this is that one person will always come up against the establishment, which believes ‘this is the way we’ve always done it’ and ‘we must think of the members’. Paralysis by fear of the unknown results. It would need a radical change to the entire structure and I’m not convinced the more traditionalist members within the BDA would go for that. Open up votes to those disillusioned and no longer members of the BDA then it might be a completely different situation, but then that obviously couldn’t happen. I’m sure those most annoyed with this blog will be those who have the least reason to be because they probably feel I am not acknowledging the things that the BDA have actually achieved. I’m not having a go at any individuals; but it’s those who wear the BDA badge and don’t do anything vocally, visibly, or productively to manifest change. Being hamstrung by the often archaic position of the trade union often means it is easier to maintain the status quo or just score pyrrhic victories than really trying to elicit the change that is needed. The recent membership questionnaire is a start to finding out just what members think; the problem is it’s not the members they need to be asking how the BDA can engage more. The very people who are disillusioned with the BDA are not going to be members by definition. Bleating on about joining so your voice can be heard is beginning to wear a bit thin to many of us I’m fairly sure; why join something so you can submit a survey once in a blue moon especially when they refuse to listen to why you might not be a member? It’s a Catch 22 situation that needs to be broken. The BDA needs to ask the ENTIRE profession what it thinks about it. The GDC seems like it is going to try to engage with us as a result of unprecedented problems and the change in executive manpower bringing a fresh look at the issues. If they can do it when constrained by legislation then there is no reason the BDA can’t either. Its time for the BDA to show just what sort of leaders they really have. In my last blog, I noted a developing Critical Mass for change in how we address infant caries and its consequences. And barely a month later, the steam pressure has been increased once again. The Chief Dental Officer Dr Sarah Hurley, is starting to make public inroads into her role, and recently delivered the 2016 Pendlebury Lecture. It was in stark contrast to the one delivered in 2014, demonstrating a wide understanding of the playing field that is dental health. It comes at the end of a week in which the state of children’s teeth once again was publicly pilloried, on the back of the General Anaesthetic numbers. While it remains a problem in England, just look at Scotland. After many decades when Scotland has been spiritual home of the UKs dental problems, it suddenly produces numbers through its Child Smile initiative that suggests significant inroads are being made to improve the health of children’s teeth and prevent dental caries [and thereby reduce the costs and morbidity of unrestricted dental breakdown]. It is not really rocket science, they have just been investing in infant dental health. So we in England [and Wales and Northern Ireland to a similar extent, but out with the CDO[NHSE]’s remit] have a problem. We know the target population for any changes must now be parents and infants in equal measure. There seems to be ample evidence that parking the dental professionals in discrete buildings, called Dental Surgeries, is simply not working, and it is evidence that Dr Hurley seeks. We know that the medical stakeholders are now on board, as obesity and diabetes rear their heads with all the long term cost implications. Indeed it is the medical drive for a sugar tax to discourage the dietary shortcomings that is also driving the publicity that emerged in the Daily Telegraph over the weekend of the 26th February, and was subsequently widely discussed on broadcast and printed media. So increasingly the priority is being defined. But the thorny issue will arise of funding. Which Departments will pay? How will we [the public] pay for the inevitable targeted measures that are due to follow, as day follows night? A sugar tax undoubtedly could easily raise the funds but the political will in the chaos pre-Referendum is clearly not there. There is a serious danger in the current fiscal period of restraint that the HM Treasury will insist on a cost neutral option. Maybe not, but we must for now assume that. Could it be that the GDP Budget is being eyeballed [at £3.4Bn] as the low hanging fruit of funding that could or perhaps should be used to address the issue of infant dental health? The Chief Dental Officer is clearly leading dental health to a better place – but who will pay for this Piper’s plans? The role must soon change it seems to that of Chief Decision Officer. Interesting times, but the sooner we address the issue of Dental Health for the young child, the sooner we can restore some pride to our profession. As a GDP you would do well to plan for big changes. Not sure what but for sure very significant. Have great Easter, assuming the snow has eased back! · Since 2011, all elements have been delivered in all Health Board areas throughout Scotland. · "As a result of our efforts, dental health in Scotland is improving, particularly in deprived communities. In the Primary 7 age group dental health has never been better and on a Scotland level the target of 60 per cent of this age group having no obvious decay has been met. This is a fantastic success story." Those of you of a certain age may recognise my poor attempt at an ironic pun. That of course is nothing to do with my age – I am just a poor punner, so to speak. By the time you read this the House of Commons Health Committee will have parked dentistry [though the GDC Accountability Hearing] on the electoral back burner. We’re done, the politicians will say, slamming shut their leather bound folders. “Delusional Management Executive and Council, demonstrably out of touch with the real events”. I have to say I was rather proud of that! What’s the point is making such a comment, though, if the examining Health Committee were to be so easily misled by a slippery GDC presentation? We shall see. Our medical colleague, Dr Sarah Woolaston [a GMC Registrant] strikes me as a good pair of hands to chair the Committee and we live in hope that the GDC are “flamed”. I for one called for the GDC to be placed in Special Measures. Will there be tears for the GDC? I suspect not. So for this Parliament, dentistry is all over. The Chief Dental Officer [NHS England] appointment is not even worthy of news yet. And yet an ominous clinical change is afoot which will potentially be a most divisive one. 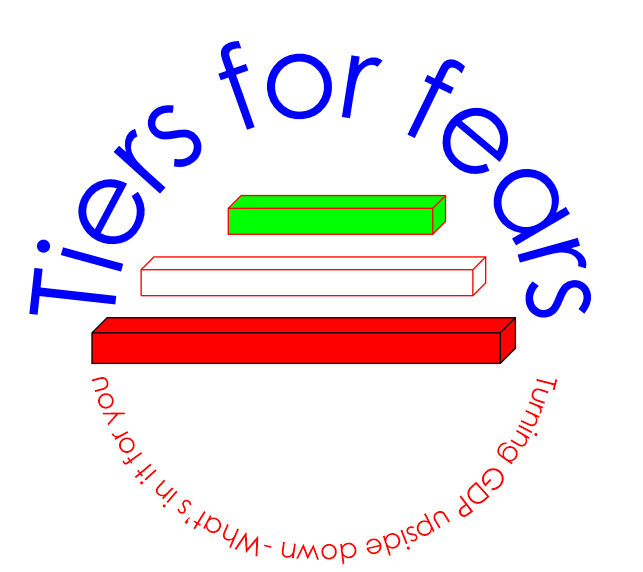 I refer to the introduction of Tiers to the delivery of dental care. Orthodontics is now beginning to see it being proposed, while it has been flagged for some time in GDP and of course Oral Surgery have systems being rolled out. If there is one subject you should examine for your future practice, I urge you keep your eye on this ball. As a young practitioner, it may simply guide your career development. But as an older practitioner, the way these tiers are being mooted may expect to have an enormous impact on your ability to provide more advanced dentistry as part of your mixed practice. On a closing note, not unrelated, I am sure tears will be shed for the retirement of our colleague , the Chief Dental Officer, Dr Barry Cockcroft. The old position of CDO was of course downgraded, politically speaking, to NHS England, now outside the Elephantine corridors of power in London. This poacher turned gamekeeper [for he was indeed in high office at the BDA] can have improved access to a safe retirement in the knowledge that his project of UDAs has lasted the test of time, even if did not pass any other test!! Let us hope that the next incumbent of the position does not also leave office with the same defunct system in place in years to come. We reserve the right to have a barney with you Barry, but the least you deserve is a drink on us. A glass of Chateau Fluoride perhaps – the one with the varnished cork? May your retirement be a long, happy and enjoyable one. 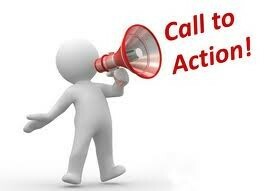 A Call to Action or The Last Post? Following similar campaigns for medicine and pharmacy, (no I hadn&apos;t noticed either), last week NHS England launched the dental call. It was trumpeted with documents with the admirable aim of improving dental care and oral health, but the large caveat is this must be done with a reducing budget and a £30 billion black hole in the NHS funding stream. 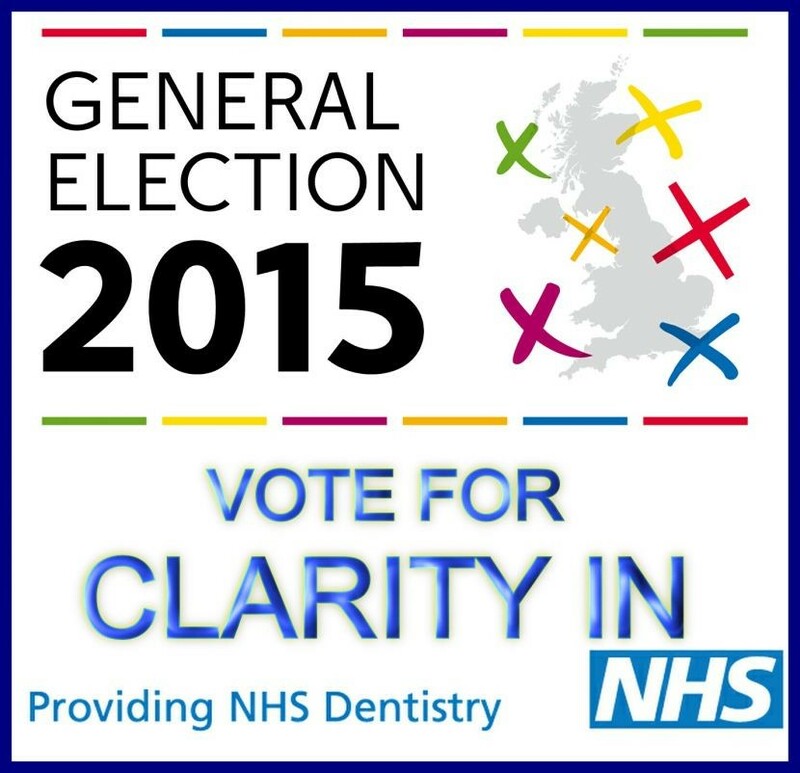 One wonders if loosing dentistry from the NHS might infill some of the cavity. We are told that the NHS dental budget is £3.4 billion per year and that private dentistry makes up £2.3 billion in provision, although some may dispute that. £653 million from patient charges is included in the total budget and is an important part of the contribution. In view of what the government is prepared to pay on other issues, one wonders why it is needed at all, but of course patient charges are a controlling factor of the demand. Much is made of the Dental Local Professional Networks that have recently been established, but no mention of the chronic underfunding of this, which might explain why so few of us will have noticed their existence to date. The NHS belongs to the people is the strap line, but not sure the way politicians interfere with it, make any of us feel like the owners. The document attempts to describe many strengths in the current system and improve access. At a recent GDPC meeting I asked Elizabeth Lynam , head of dentistry at the DoH would there be funding for more patients to register if a reformed registration and capitation model attracted more than the 56% currently visiting practices in a 24 month period, no was the answer. So if access is to increase, that too must happen within the existing budget. Not so much a call to action as a call for charity from the profession. As a committed LDC official, I am disappointed that there is not a single reference to local representative committees, nor a mention of them being stakeholders. Perhaps with the manipulation of levy collection ongoing by NHS England maybe they won&apos;t be for long anyway? We are asked to respond to the questions by the 16th May 2014 and that our answers will be independently analysed, we are not told by who,( I am lead to believe it may be an American institution, so much for tendering) but it will make a change for independent analysis when we are deprived that within the pilot programme. A strategic framework for commissioning will be published along with a report. There is pride on the excellent data on disease and activity NHS England hold but those that witnessed the destruction of the Dental Practice Board will believe this information far inferior to what was previously known. Again there is a plan to best use tax payer’s money and develop a workforce that is appropriate for the future, a bit rich after what graduates are facing in the lottery of FD placement. But world class has been replaced by exemplar commissioner so perhaps reality is dawning at Whitehall. I wonder where the "tools" to enable a consistent care pathway are being kept. Remarkably the document admits they need to know how to measure excellence and despite telling us how good the data is they have, they admit they lack data to benchmark performance nationally. I know what I believe of these two versions on data. In its section on health inequalities it talks about a "seldom heard" group, I got quite excited when I thought it might be the many critics of DoH and NHS England but it turns out to be patients facing barriers to accessing care. There is a clear message they we carry out our care at times convenient to us, and that patients want extended hours after work and at weekends. Not sure what evidence base there is for this, but the direction of travel is clear. Much is made of the OFT report of 2012 despite massive criticism from the profession and the BDA. So not much notice taken there then, and of course they trumpet this call to action process is being supported by the BDA. Damned if you do and the same if you don&apos;t .
There are also indicators to the shape of general practice of the future, they want to move away from working in isolation and support larger teams in the interest of better care, and develop special interest in primary care. The end of single handed practice and tiered delivery of care for those with the badge to do it is just a review away perhaps? Whilst I understand enthusiasm for this is not great and we are being herded along with the medics, we should not under estimate the importance or messages contained.